Laettner had a solid 13-year NBA career, but relative to his other 11 teammates, he was the weakest member of the bunch. Of course, he already arrived at a disadvantage, as plenty of critics believed Shaquille O’Neal should have been placed on the roster instead of him. However, thanks in large part to his tremendous success in college, Chuck Daly and his coaching staff decided Laettner was more ready to contribute. 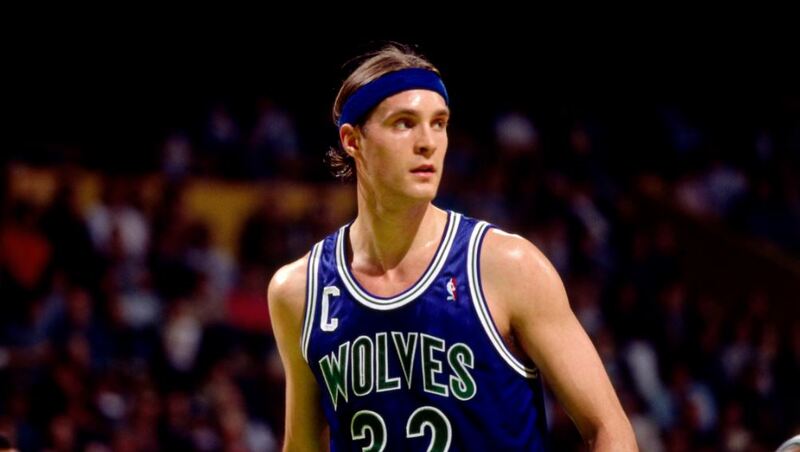 Laettner appeared in all eight of Team USA’s games, averaging 4.8 points and 2.5 rebounds per game. The Duke alum then burst onto the NBA scene as a rookie, averaging 18.2 points and 8.7 rebounds per game as a member of the Minnesota Timberwolves. Unfortunately, his rookie year ended up being his highest scoring season, as Laettner struggled to ever find consistency in the NBA. He was traded six times in his career, and never spent more than three seasons with a single franchise. In addition, his teams never made it past the second round of the NBA playoffs in his 13 seasons. While few could have predicted it at the time, Team USA’s gold medal victory was the pinnacle of Laettner’s career. The Golden State sharpshooter was in his absolute prime during the 1992 Olympics, and was a key piece in leading Team USA to the gold medal. Mullin led the team with 14 three-pointers over the course of the eight games, and averaged 12.9 points per contest. Entering the Olympics, Mullin had just been selected to the All-NBA First Team after averaging 25.6 points and 5.6 rebounds per game. 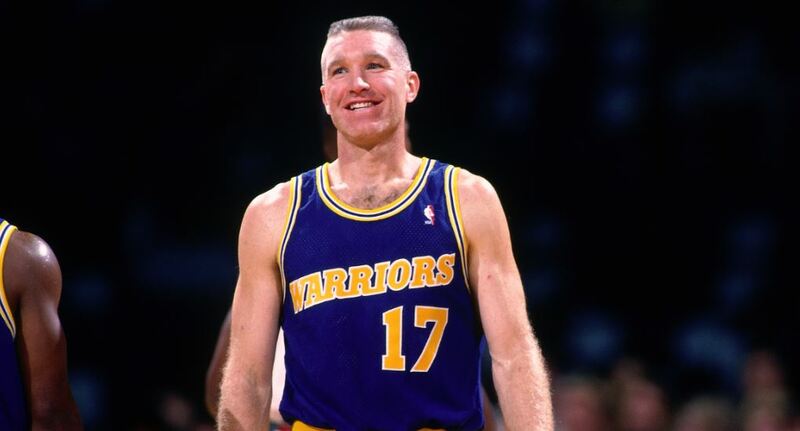 In addition to winning gold in Barcelona, Mullin won a gold medal in 1984 with Team USA, and put together an impressive 16-year career with the Golden State Warriors and Indiana Pacers. Mullin never won a Larry O’Brien Trophy, but as a 5-time All-Star and 4-time All-NBA selection, he was inducted into the Naismith Basketball Hall of Fame in 2011. 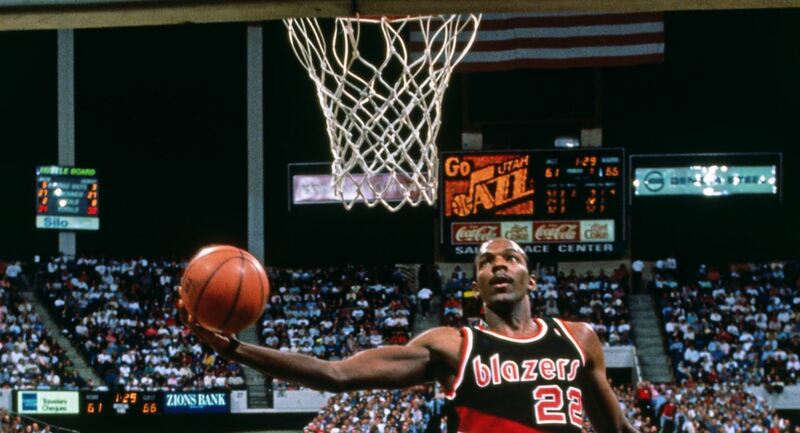 Clyde “The Glide” Drexler entered the Olympics coming off his first (and only) All-NBA First Team selection in which he averaged 25.0 points, 6.7 assists and 6.6 rebounds. The former University of Houston star played a crucial role during Team USA’s dominant run and joined Michael Jordan, Charles Barkley, Karl Malone and Chris Mullin as the only players to average at least 10 points per game. Drexler also added 3.6 assists and 3.0 rebounds per game in helping the United States claim gold. Following the Olympics, Drexler’s career tailed off a bit, as he would never average more than 22.0 points per game in his final six seasons. After being traded from the Trail Blazers to the Rockets in the middle of the 1994-1995 season, Drexler was instrumental in helping Houston win the NBA title in 1995. Following a successful 15-year career that included 1 Larry O’Brien Trophy, 10 All-Star selections and 5 All-NBA selections, Drexler was more than deserving of his induction into the Naismith Memorial Basketball Hall of Fame in 2004. Ewing started in four of Team USA’s eight games, and was in peak form during this run. Fresh off a season in which he averaged 24.0 points, 11.2 rebounds and 3.0 blocks per game for the New York Knicks, Ewing averaged 9.5 points and 5.3 rebounds for Team USA. The former No. 1 overall pick from Georgetown had a dominant NBA career in which he averaged 20+ points per game the first 13 years of his career, but was never able to get his Knicks over the hump. New York made it to the NBA Finals twice during Ewing’s tenure, but lost to the Houston Rockets in 1994 and San Antonio Spurs in 1999. 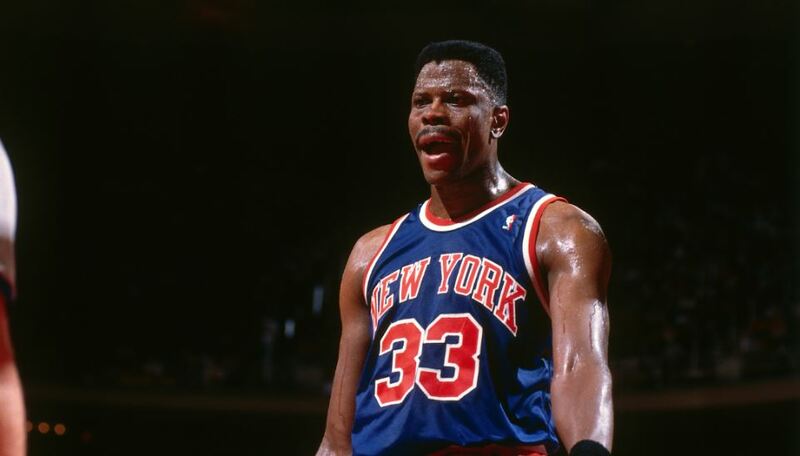 Although Ewing was unable to capture the ever-elusive championship, he ended his career as an 11-time All-Star, 7-time All-NBA selection and is regarded by many as the greatest Knick in franchise history. Robinson started four of the eight games for the “Dream Team,” making his presence felt in each contest. The San Antonio behemoth averaged 9.0 points per game while shooting 57.4 percent from the field. Robinson also collected 4.1 rebounds per game and was the team’s best rim protector. 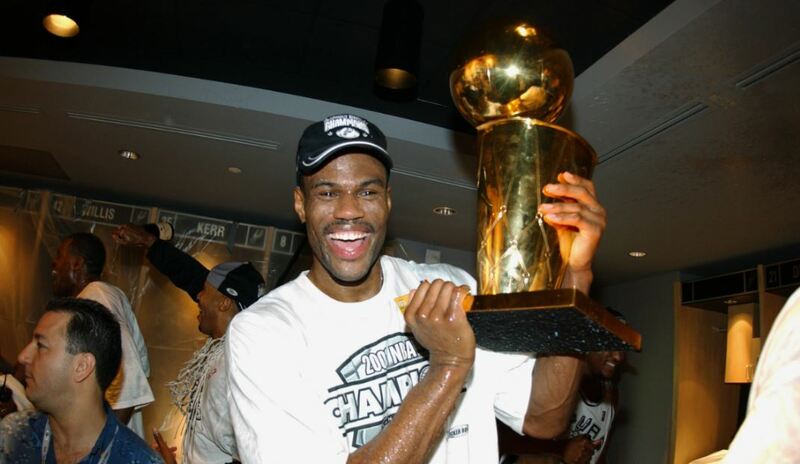 Aside from winning a gold medal in 1992, Robinson collected plenty of hardware during his 14-year NBA career. In total, Robinson was an MVP (1995), Defensive Player of the Year (1992), 2-time NBA Champion (1999, 2003), 10-time All-Star, 10-time All-NBA selection and 8-time All-Defensive selection. The fact that he is only No. 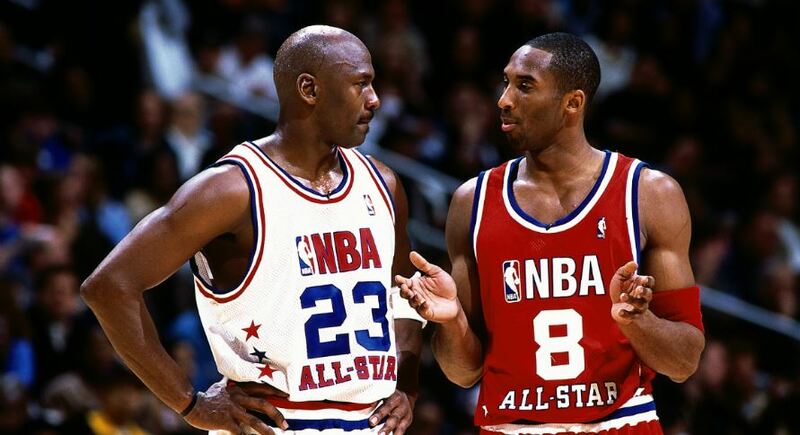 8 on this list shows just how special the Dream Team truly was. 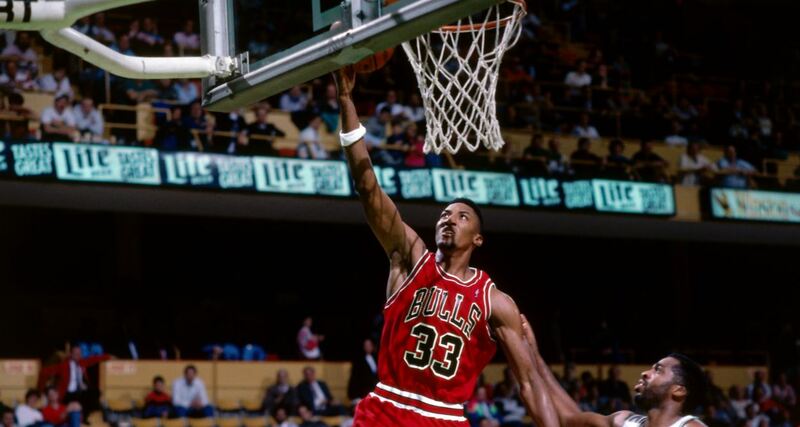 Pippen started three of Team USA’s eight games, and was crucial in helping the squad earn gold. Leading the team with 5.9 assists per game, Pippen also played suffocating perimeter defense (as usual) while shooting 59.6 percent from the field. Unfortunately for Pippen though, he will always be remembered most as Michael Jordan’s sidekick. Despite the 8 All-Defensive First Team selections, 7 All-Star selections and 7 All-NBA selections, his 6 NBA championships won with the Chicago Bulls are overshadowed by the presence of Michael Jordan. With a rare blend of size, speed, court vision and defensive prowess, Pippen in his prime might’ve been good enough to lead a team to a Larry O’Brien Trophy. But since his best years were spent alongside Jordan, it’s a question that can never be answered. The six rings bolster Pippen’s legacy, but with Jordan claiming all six Finals MVPs, Pippen’s rank among the all-time greats remains enigmatic. Due to a fluke leg injury suffered during an exhibition game weeks before Team USA headed to Barcelona, Stockton had the smallest impact of any player in capturing the gold medal. The Jazz point guard only appeared in four of eight games, finishing as the team’s lowest scorer (2.8 points per game) and rebounder (0.3 rebounds per game). 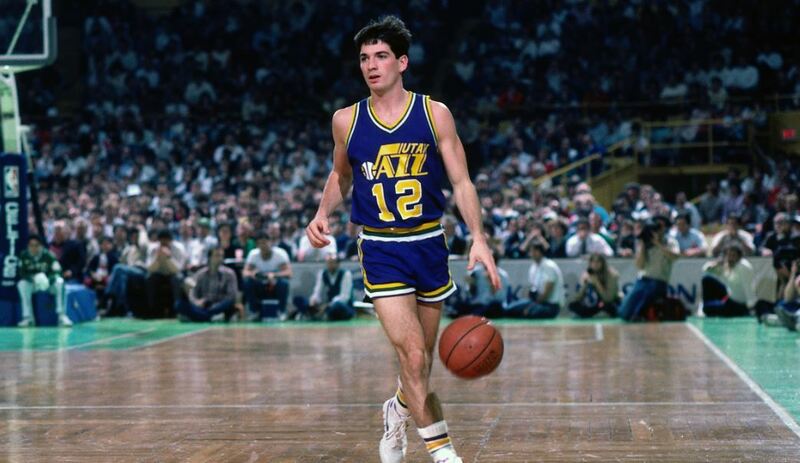 Team USA was obviously fine despite Stockton’s limited contributions, so the point guard finds himself sixth due to his many achievements with the Utah Jazz. For 19 seasons, Stockton led Utah while forming one of the deadliest duos in NBA history with Karl Malone. The tandem played 18 seasons together, leading the Jazz to the NBA Finals twice, but were defeated by Michael Jordan and the Chicago Bulls both times. With over 3,000 more assists and 500 more steals than any other player in NBA history, Stockton is widely considered one of the best point guards to ever play the game. 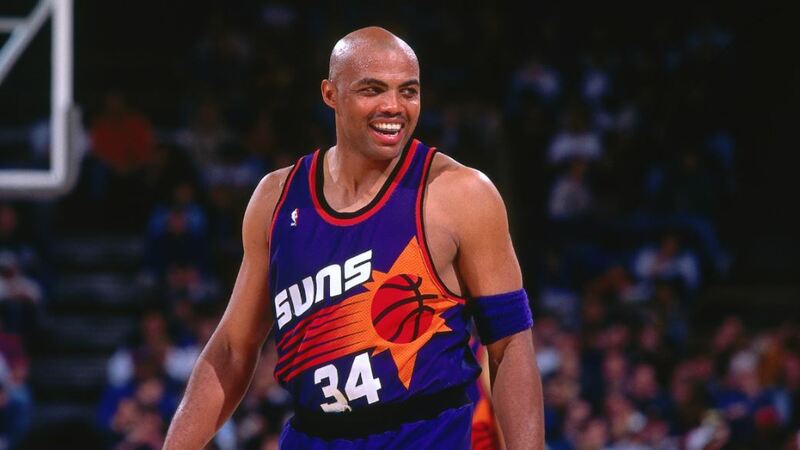 Charles Barkley was arguably the Dream Team’s most impressive performer. Leading the team with 18.0 points per game while shooting 71.1 percent from the field, Barkley was simply too strong for guards and too quick for big men. The gold medal served as the pinnacle of Barkley’s career, as his one-of-a-kind personality was on full display for the entirety of the Olympics. In the NBA, Barkley was a dominant force for the Philadelphia 76ers, Phoenix Suns and Houston Rockets, but was never able to win a Larry O’Brien Trophy. Barkley led the Suns to the Finals after winning the regular season MVP award in 1993, but ultimately lost in six games to Michael Jordan and the Chicago Bulls. Despite only being listed at 6-foot-6, Barkley is widely considered one of the greatest rebounders in NBA history. With career averages of 22.1 points, 11.7 rebounds, 3.9 assists and 1.5 steals per game over his 16-year career, a few championships easily would’ve vaulted Barkley into the top-10 of all-time discussion. 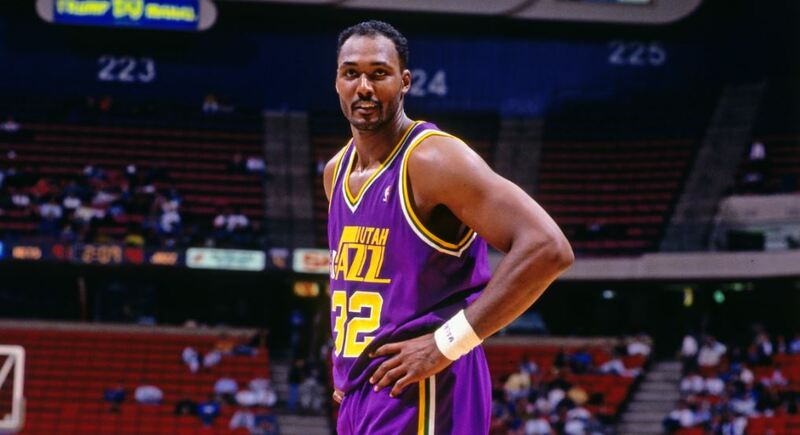 Fresh off a season in which he averaged 28.0 points, 11.2 rebounds, 3.0 assists and 1.3 steals, “The Mailman” delivered 13.0 points and a team-leading 5.3 boards per game in eight Olympic contests. Much like Ewing, Barkley and Stockton, the gold medal in Barcelona served as Malone’s crowning achievement since he was never able to win an NBA title. From an individual standpoint though, Malone’s 19-year career leaves him as one of the best power forwards in NBA history. In 19 years, Malone was a 2-time MVP (1997, 1999), 14-time All-Star, 14-time All-NBA selection, 3-time All-Defensive First Team selection and 3-time NBA Finals runner-up. Second all-time with 36,928 points in his career, Malone’s longevity and efficiency leave him as one of the 20 greatest players of all-time. At the urging of Magic Johnson, Bird agreed to join Team USA on the heels of his final NBA season. Due to back pains, Bird was nowhere near his normal self, but still averaged 8.4 points and 3.8 rebounds per game. Unlike most of the members of the team who were in their athletic primes, Bird was the only one who never played another NBA game after winning gold. 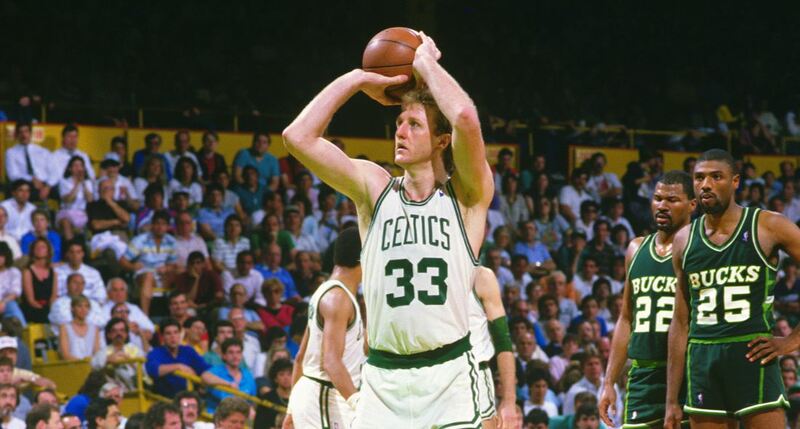 During his 13 years in the league as a Boston Celtic, Bird was virtually unstoppable. He led the Celtics to three championships, won three consecutive MVP awards (1984-1986), was a 12-time All-Star and made the All-NBA First Team 9 times. His sweet shooting stroke, hard-nosed defense and rebounding prowess leaves him as one of the 10 greatest players in NBA history. Serving as a co-captain alongside Bird for Team USA, Magic Johnson’s experience in Barcelona was unlike anyone else. After announcing that he had HIV in November of 1991, Johnson still competed for Team USA in July and August of 1992. Johnson only played in six of the eight games, averaging 8.0 points, 5.5 assists and 2.3 rebounds. However, his presence was much more significant than his stat line. Johnson credits his time with the Dream Team as “almost a life saver,” reminding him a normal life with HIV would still be possible. After Barcelona, Magic didn’t return to the NBA until the 1995-1996 season, but was far from his dominant self. 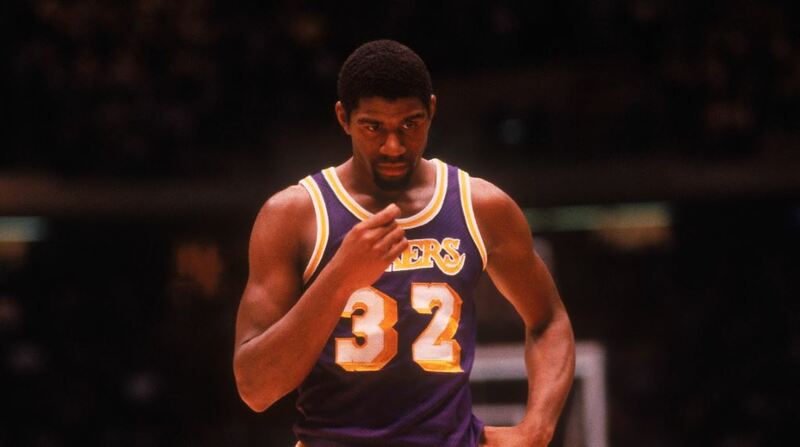 Prior to his HIV announcement, Magic earned 3 MVP awards, 12 All-Star selections, 9 All-NBA First Team selections and helped guide the Lakers to 5 NBA titles. All in all, there’s few who would argue against the notion that Magic is the greatest point guard in NBA history. The only member to start all eight games of the Olympics also happens to be the greatest player in NBA history. Fresh off winning his second consecutive NBA title with the Chicago Bulls, Michael Jordan led the Dream Team to eight absolutely dominant victories. Winning every game by at least 32 points, Jordan led the way with 14.9 points, 4.8 assists and 4.6 steals per game. After winning gold in the 1992 Summer Olympics, Jordan would lead his Bulls to a third straight title before taking a basketball hiatus. He returned during the 1994-1995 season, and soon thereafter led the Bulls to another ‘three-peat’ from 1996-1998. 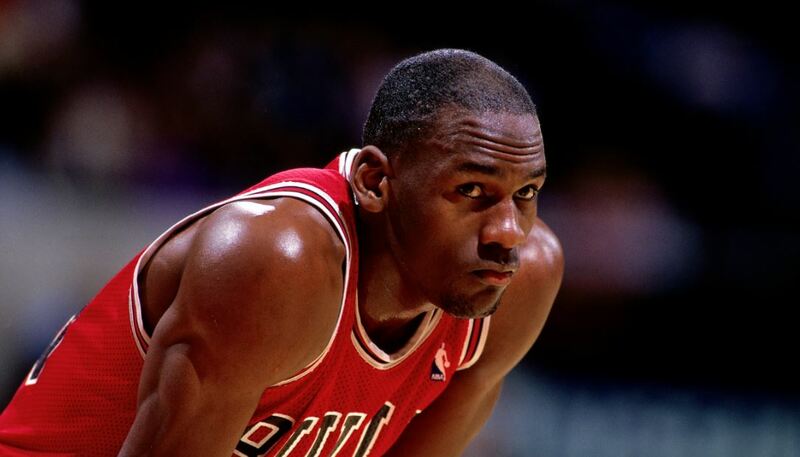 Jordan’s successful return solidified his legacy as the greatest to ever play the game, finishing his career as a 6-time NBA champion, 6-time Finals MVP, 5-time MVP, 14-time All-Star, 10-time All-NBA First Team selection, 9-time All-NBA Defensive First Team selection, 10-time scoring champion and 1988’s Defensive Player of the Year. It’s only fitting the G.O.A.T finishes No. 1 on the greatest team ever assembled.